Please select options below as well as size. 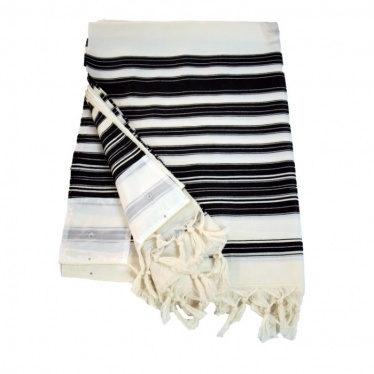 Fine wool traditional Chabad Tallis includes regular linen lining and silk corners. Available only in black/white. Available in silk corners only. Available in sizes: 55 x 78, 59 x 80, 67 x 82, 71 x 82. Different styles of Tzitzis (fringes on corners) are available. Comes with standard Tzitzis. Chabad style and Sephardic style tying of Tzitzit comes with Avodas Yad. Blue Techelos comes with Avodas Yad.